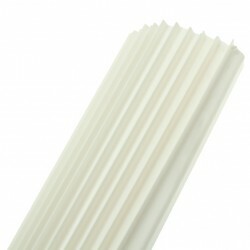 UK Electrical Supplies stock high-grade PVC Capping. 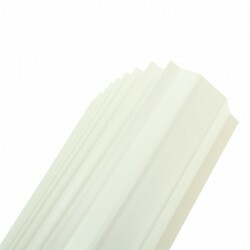 We supply units of 10 lengths measuring: 2 metres long with varying widths in white PVC. Used to prevent drilling through live cables, you can be sure that we only stock excellent quality Capping. By using leading brands, we pride ourselves on supplying the industry’s finest products. Our PVC Capping is manufactured by Univolt, promising peace of mind that goes a long way when sourcing your Capping solutions. Affordable, safe products are all you will find at UK Electrical Supplies. Have you joined our mailing list yet? You can be sure that in doing so, you will receive first hand information regarding price reductions on all of our products. Our ‘Free Delivery’ policy on purchases over £50 and our ‘Next Day’ delivery service are added reasons for you to visit.